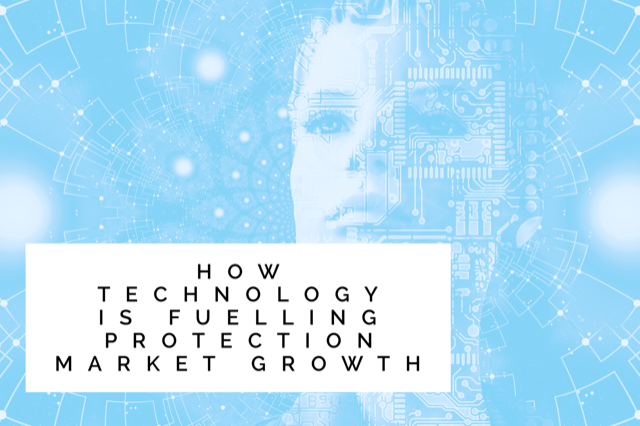 Paul Yates from iPipeline looks at technology and how new sales processes are fuelling protection market growth. We are not like every other industry. We have complex products, generally sold via an advised process via professionals, using fragmented tools and distributed within a highly regulated framework. Real growth in our market needs a combination of factors to come into alignment. We need firms who see the opportunity and need to sell protection, technology that makes it easy to conduct a sale and the delivery of products that consumers value and want to buy. The good news is that iPipeline has seen real growth over the last 3 years. Our growth has been underpinned by existing iPipeline users selling more protection business. Yes, we have had many new firms join iPipeline, but stripping this away, the growth trend is clearly positive – 40% and more for some firms. We have seen income protection sales double as advisers demonstrate how important and affordable these products are to their clients. The change has been ignited by advisory firms and networks who have embraced the protection market in a way I have not seen before. Those who have implemented new sales processes, new technology and new improved products that better meet their clients’ needs have benefitted most. This trend has driven significant growth, especially within the mortgage market where MMR time constrained firms have had to adapt and change the way they work. These innovative firms have spurred on technology businesses and providers. Driving them to bring out new and better solutions to speed up the advice and sales processes. They have demanded new and better levels of integration – removing re-keying work and the potential for errors. They have demanded more intuitive and easier to understand user interfaces. These result in faster processes – we have cut the time to source by over 50%. It also helps ensure higher quality outcomes and improved compliance recording. Comparing multi benefit plans used to be a laborious and time consuming task that put many off advising on protection. Great design aligned with the knowledge and input from skilled advisers has revolutionised the work, making protection far more accessible to all intermediaries. How do we at iPipeline ensure these systems work? Using an agile development process, we can test as we build and use data analytics to feed design decisions, enabling us to launch and then hone solutions faster than ever before. Nothing beats direct feedback and rapid design response. Relax, I am not about to sing ‘Everything we do is driven by you’ (but I am humming it in my head). Finally, we have seen great product advancements. With focus on delivering products that better fit clients’ needs rather than just focussing on driving to the lowest unit price. Products that offer many more selectable features, products geared to needs of different market segments and products designed for direct consumer selection. These advancements would not be possible without providers investing in new systems that support rapid product delivery. It would also not be possible without technology that enables the administration of these new products to be highly automated with features such as customer portals and straight through mid-term adjustments. There is still much to do. Getting all mortgagees, renters, self-employed, new parents, newly wedded (or coupled) to focus on their personalised needs and take out the right protection is still a significant challenge – and a significant opportunity. Use of nudges and triggers will be key in a world of increasing consumer messages and demands on the consumer wallet. Speed of technology advancement is increasing and we need to make sure we keep up. How far can we go; how far should we go? If we get everything right, we should be aiming for a 20% bigger market in the next couple of years. We also still have a lot more to do to close the £2.4 trillion protection gap. We have many financial professionals who shy away from protection advice. In a society where the State safety net is increasingly constrained, the need for all Financial Advice professionals to embrace the delivery of protection advice has never been more important. Come on in, the water is really warm.